So, I’m in the process of submitting applications so that I can spend three weeks in May globetrotting and researching traditional gender roles in international media. Some of the choices I’m considering are Kenya, Ghana and Sydney. In haste excitement, I sent a text to my beloved mother to update her on these latest development and to convince her that this is an adventure worth taking. And therein lays the preface for this post. 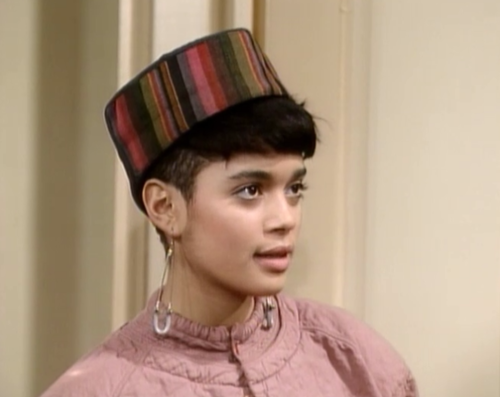 Denise Huxtable (Lisa Bonet) was the coolest Cosby kid. With her chic 80s fashion digs, successful high school career and unique ratchet sewing talent (Gordon Gartrell, anyone? ), the middle Huxtable was the hippest of the clan. The free-spirited second daughter – with her incomparable knack for style and music – marched to the beat of her own 808s. Denise’s erratic decisions often left her parents, Heathcliff and Claire, perplexed and frustrated. After she abruptly ended her undergraduate career at Hillman College with no explanation, Denise jetsetted to Africa as a photographer’s assistant. While snapping wildlife photos, she also snagged a husband and stepdaughter – that she didn’t inform her parents of until she arrived on their brownstone steps with her new family in tow. Then, Dwayne Wayne’s original love flirted with several career possibilities before deciding that special education was her destined path … or so she thought. In the end, Denise relocated to Singapore with her husband, who was shipped there on a long-term military assignment. When the final credits rolled, all we knew of her future was that she was expecting her first child. No direction. No guidance. No feasible, sustainable future. A rebel quelled. Two decades after the last episode of The Cosby Show, I still can’t picture Denise Huxtable in her forties. I imagine her as the fictional Alice Walker (Olivia is Rebecca) – still radical and innovative, but calmer and with more permanent roots and direction. Hopefully, she would have found her purpose and began fulfilling it while balancing motherhood and marriage. Much like Claire, she would strike the right chord between them, more aligned with her mother’s spirit than her sisters ever could be. 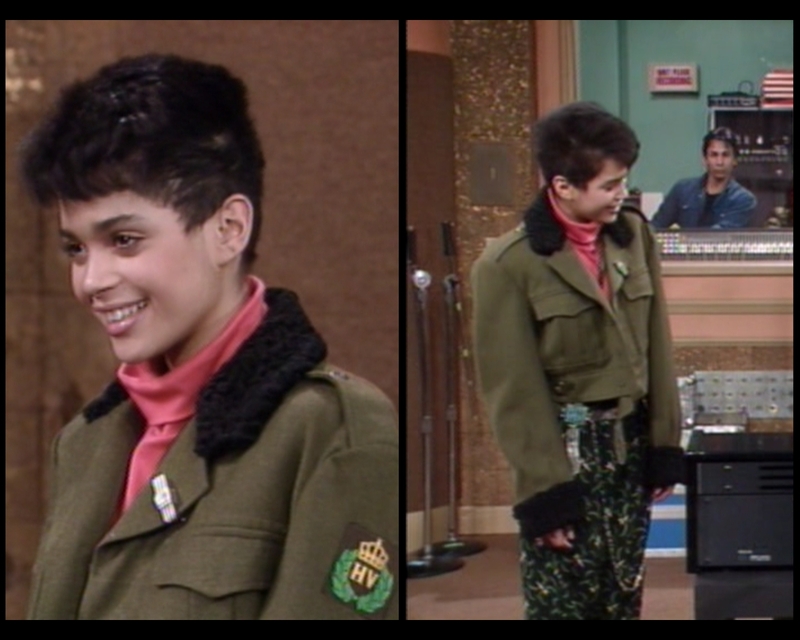 Denise Huxtable was full of potential, all of it loaded in a loose, unreliable cannon. But despite the coolness that exuded from every chic pore, I am not and will never be Denise Huxtable. I’ve been attempting to escape the Denise Huxtable stigma since I packed my first suitcase, asserted my independence and left home to begin my journey at a historical black college in January 2008. I haven’t been successful at it. Though Denise and I have common links that bind us (we both attended HBCUs, love fashion, want to explore the world and are artistic and outspoken), she is not the fictional embodiment of me. I finished college. I’m stable and independent. Though my career objectives shift, I have a host of skills that can easily transition from one medium to the next. But somehow, the Denise Huxtable, unpredictable, erratic, free-spirit stigma follows me. It’s shadowed me from my first dormitory room to the graduation stage and into my adult life. It isn’t the “rebellious free-spirit” label that plagues me. The misunderstanding and miscommunication that accompanies it does. 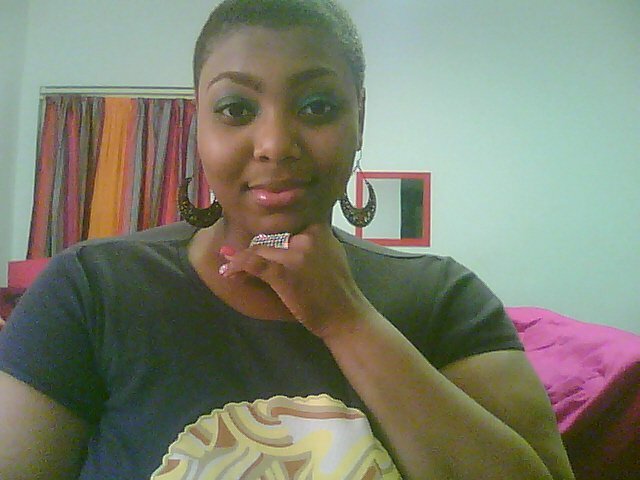 It is best exemplified in relation to the relaxed tresses that I decided to chop. In March 2011, I headed to the barber’s chair and thus into creamy crack rehab. I had been donning relaxers since the age of six or seven, so it was impossible for me to know what my natural curl pattern was. But witnessing the freeing craze at my alma mater, Bennett College, inspired me to take the plunge on that warm spring afternoon in Greensboro. I was prepared for the gasps of disbelief when I displayed my blonde Caesar; I even could have accepted speculating questions. But nothing equipped me for the backlash. And this was just the beginning of the hurtful commentary from close relatives. While most of my peers adored it and often complimented the look, the response from those I cherish most was less than welcoming. It wasn’t an act of defiance. But to ancestors that pride themselves on long, flowing tresses that are soft to the touch and curly at the ends, my coarse afro with its lack of bounce and softness is a sin. Twelve strokes of a barber’s clippers and I was reduced to a lunatic: lacking common sense and attempting to unconventionally find what I had never lost. Three months after my big chop. I second-guessed the decision. I faltered in my confidence because these words became mantras that I constantly repeated and believed. The criticism intensified when I self-identified as a womanist and began exploring gender and ethnic inequalities in media and popular culture. More questions. Less answers. What college affords first-generation students like me are opportunities to share and indulge in various cultures, regions and experiences. In attending higher-ed institutions, particularly HBCUs, students are insulated in environments where individuality is encouraged and personal growth is inevitable. It is a transformative period that allows students to find their core and begin bridging the gap between who they are inwardly and their external realities. But when students leave the comfort of those campuses and return to the villages that raised them, some of our elders don’t understand the progress or the change. It is much easier to write us off as rebels than realize that we’re evolving into the men and women that we’re destined to be. A blonde Caesar, womanism, going commando in the summertime, is all outward manifestations of an inner evolution into adulthood and independence. The struggle to escape the Denise Huxtable stigma is real. Painful. Hurtful. Inescapable. Difficult. Scary. But it is the price I paid to declare my autonomy. And no matter how hard I attempt to convince people that I’m not as offbeat as I seem, the backlash still persists. Denise was always my favorite Cosby kid. I love her and I love this post. Thanks for sharing your natural hair story, too, though I’m sorry to hear you got such horrible responses to your decision to do the big chop. But, girl, you have to just follow your heart and not worry about the haters, even if those haters are in your own family. In fact, I’ve learned to use the naysayers as material for my writing and I know you can do the same. For example, I took all the insensitive comments I get about my dark skin tone and wrote an essay about the issue. The essay was purchased by Skirt magazine. So I welcome haters. They usually lead to a paycheck! You took this to a place I didn’t expect and that I enjoyed. Returning to the village … Sometimes it’s not just the elders, and it’s often lonely.